Feel the spirit of the Red Centre as you fly into Uluru Ayers Rock today. 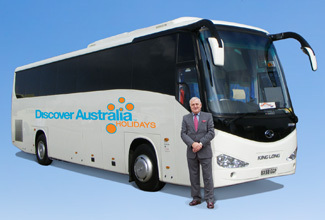 You will be transferred from Ayers Rock Airport to your resort hotel. Relax and spend the rest of the day making use of the hotels facilities or take a short stroll around Ayers Rock Resort. Airport Transfer, Overnight Ayers Rock Resort Accommodation. This afternoon, spend time relaxing before you get ready for your special Uluru Sunset tour. You will be picked up from your hotel and taken to iconic Uluru for a special 5 hour experience. Enjoy a drive around the base of Uluru and visit Mutitjulu Waterhole, a semi-permanent channel of water within the contours of this icon. Enjoy sparkling wine and gourmet treats while you take in the majesty of a sunset at Uluru with Kata Tjuta in the backdrop. Later you will be transferred back to your Ayers Rock Resort hotel. This morning, learn about the local flora and intricacies of an outback garden with an Indigenous guide. Learn about how Indigenous people used to live using the bush for medicinal and food purposes. Alternatively, you may also collect a pocket guide and take a self-guided walk of the gardens at your own leisure. The remoteness of this desert location reveals a truly remarkable night sky. Enjoy an afternoon to relax before finding out more about astronomy and the cosmos. Enjoy an interactive astronomy session at the Astro-Hub hosted by the resident astronomer. Learn more about the stars, planets, galaxy, Big Bang theory and cosmos with a special screening of “Capturing the Cosmos”. The documentary, narrated by Geoffery Rush, reveals the most cutting edge research on dark energy and is written and directed by astronomer Dr Tanya Hill (Australian Research Council Centre of Excellence for All-sky Astrophysics). Following the screening, engage in a Q&A session with the resident astronomer. Get picked up from Ayers Rock Resort and transferred to a remote desert location where you can enjoy a self-guided walk through this immense piece of art. Later, you will be returned to Ayers Rock Resort for the night. Garden walk (Guided or Self-Guided), Astro-Hub & Astronomy Session , Field of Light Self-Guided Walk with Hotel Pick Up, Overnight Ayers Rock Resort Accommodation. This afternoon visit the Wintjiri Arts & Museum where the Resort’s “Artist in Residence” program selects Indigenous and non-indigenous Australian artists and craftspeople to take residence for a month to create art works and pieces at the Resort and exhibit and sell their work. This is a unique opportunity to meet and watch these talented artists at work. Small Group Kata Tjuta Sunrise Tour, Outback Picnic Breakfast, Wintjiri Arts & Museum, Overnight Ayers Rock Resort Accommodation. Say goodbye to Uluru today and get transferred to Ayers Rock Airport for your flight home. You have 3 choices of accommodation within Ayers Rock Resort. Our "Good Standard" central Ayers Rock Resort hotel has great facilities, a comfortable room and friendly service (typically 3.5 stars). Alternatively, why not treat yourself? The "Deluxe" hotel has superior facilities, stylish room and first class service (typically 4 stars). The “Luxury” hotel is upscale with a more luxurious feel for the discerning traveller and great for celebrating an anniversary (typically 5 stars). You will be transferred from the airport on arrival in Ayers Rock to your Ayers Rock Resort hotel. You will also be transferred from your Ayers Rock Resort hotel to Ayers Rock airport for your flight home. You’ll receive the FREE DISCOVER AUSTRALIA Bonus Voucher Book that includes $500 value of discounts and bonuses throughout Ayers Rock and the NT at shops, restaurants attractions etc. 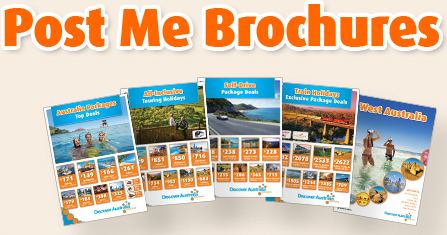 It’s a great way to save even more on your Ayers Rock holiday. The Uluru Ayers Rock Essentials is very popular. Many dates book out well in advance, please book soon.